A new extension to warren cottage has been submitted for planning. 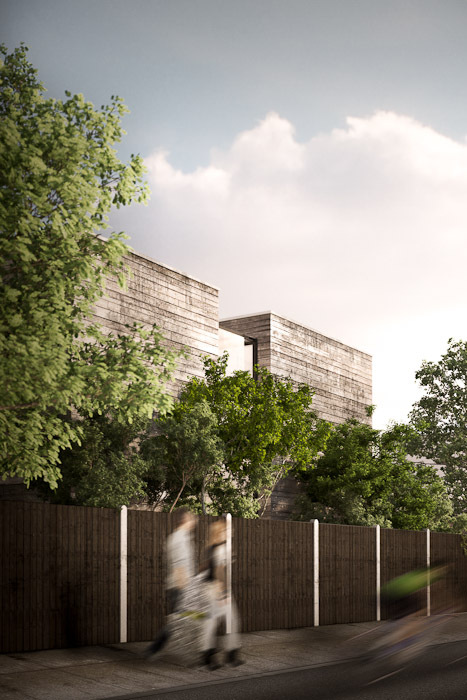 The form of the extension seeks to establish a relationship with the Victorian cottage, the mature garden, neighbouring properties and the adjacent boundaries. This has resulted in the creation of an interesting, stimulating and respectful dialogue between two distinct architectural languages and their shared environment; a relationship vital to the success of the project. Throughout the design the Victorian and contemporary architecture are always speaking to or glimpsing the other both internally and externally creating intriguing yet functional spaces. The extension all be it contemporary remains mindful of its place. Our intention is to retain Warren Cottage as the focal point on site with the extension being subservient to it. The Cottage is to be back lit by the transparency of the extension that joins to the Cottage by the most delicate touch of glass. The external materials of the extension resonate the texture, depth and warmth which exude from the materials of the Victorian cottage. 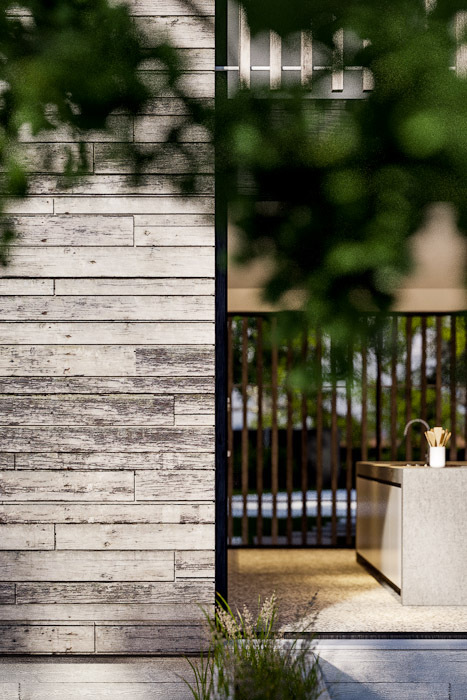 The insitu concrete is cast to give a wood grain texture and this together with the elements of random width and length boards of untreated Iroko and Iroko louvers allows the extension a sense of luxury yet a textile nature like that of the cottage. These materials although starkly modern echo the craftsmanship of the original dwelling yet have the ability to blend into the background and allow the cottage to remain centre stage.